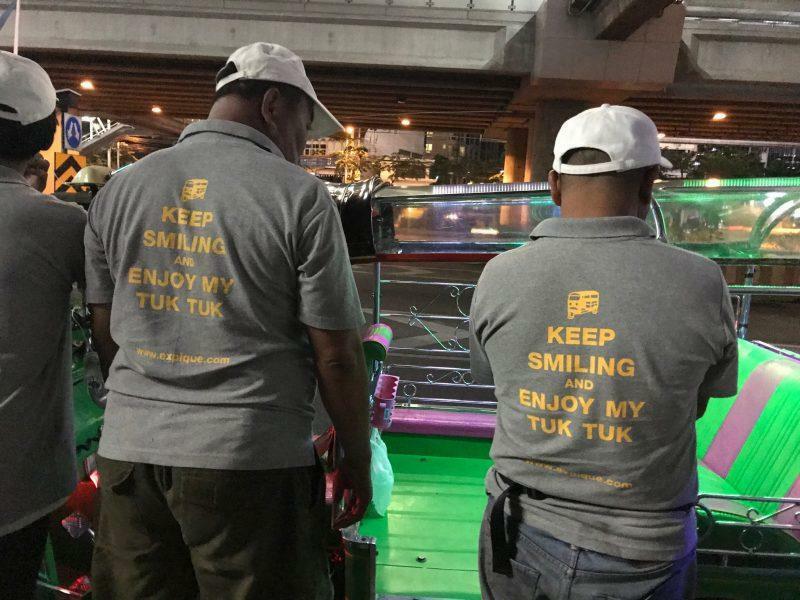 I recently had the pleasure of taking an evening tuk-tuk tour in Bangkok with Expique and I have to say, it was my preferred way of exploring the city. We saw temples at night, had the best pad Thai in Thailand and even learned how to say Bangkok’s full name (fun fact: it’s typically recited in song because it’s too long to remember otherwise). Some of you may be nervous about getting in a tuk-tuk; I know I was! I heard horror stories about the pollution, and seeing people wearing germ masks didn’t help. I came prepared for the equivalent of driving an ATV in the desert and was pleasantly surprised to find that I left in almost the exact same condition I arrived (minus some hair frizz). The breeze as we drove actually served as a welcome relief from the otherwise sweltering temperatures in January. 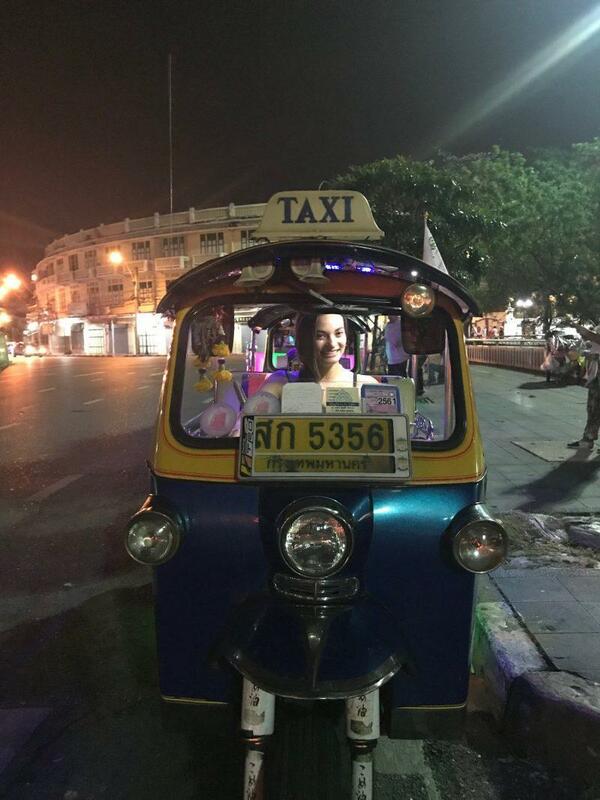 Going at night allows you to beat both the sun and the crowds, and having a single tuk-tuk driver for the duration of your evening build a rapport and cuts down on unnecessary haggling. 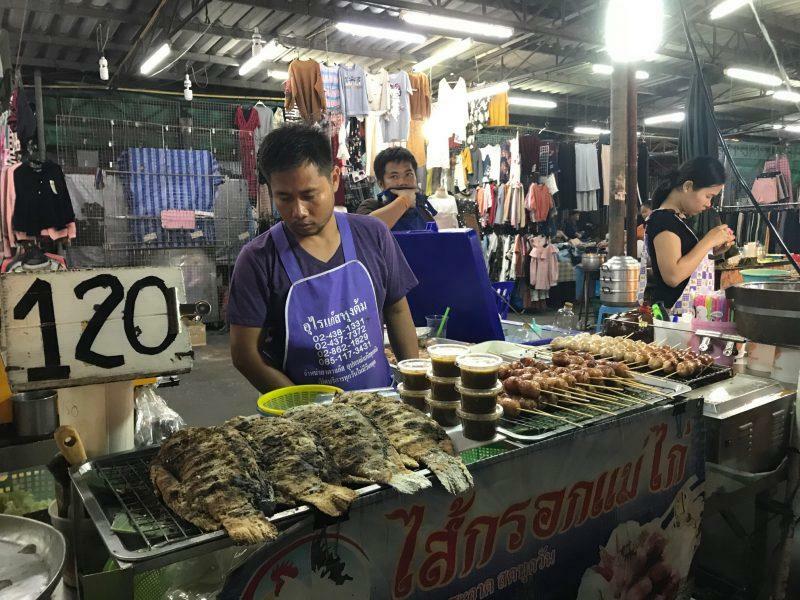 In short, if you’re looking for a great introduction to Bangkok’s food and culture and want a personal experience rather than a tour bus full of people, this is the excursion for you. I found Expique through a Google search. 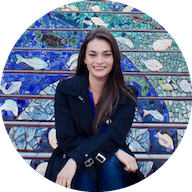 All the reviews I read had glowing recommendations, putting my mind at ease about planning from so far away. They offer a wide variety of experiences, including a cooking class at the Flower Market that is meant to showcase an aspect of Thai culture few visitors get to witness. 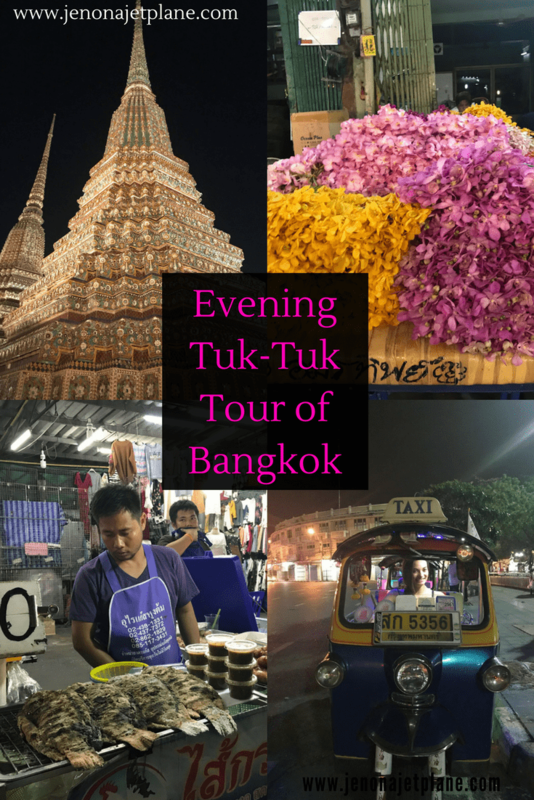 The Bangkok Night Lights tour was a great introduction to city for those with a short time to visit. It was a mix of history, eating and sightseeing and lasted 4 hours total. Our group was about a dozen people total, each tuk-tuk sat two people comfortably. At the beginning of the tour, you meet at the SkyTrain station since it’s rush hour and traffic is at a standstill. Note that the Skytrain gets insanely packed in the early evening (think sardine life) and you may not always get on the first train that passes. 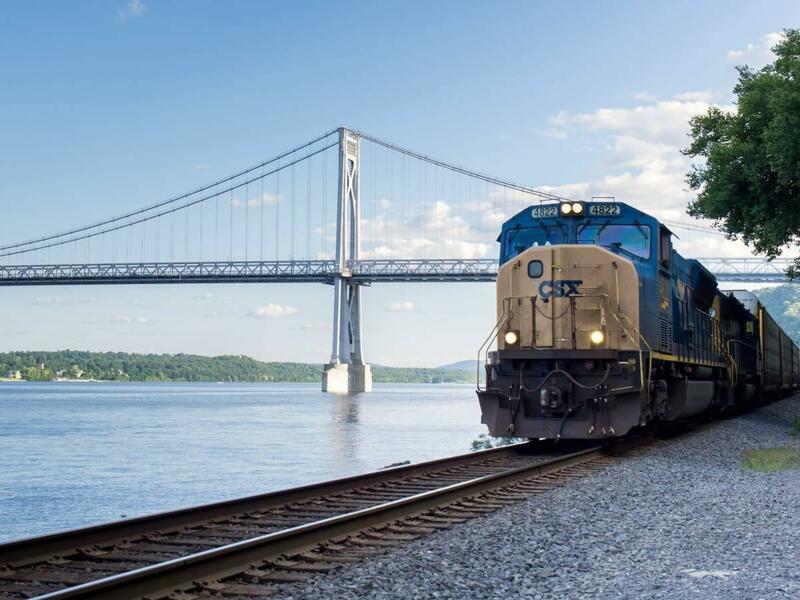 Allow yourself plenty of time to arrive. Your tuk-tuk driver will take you back to your hotel at the end. Despite it not being a food tour, there was a lot of food provided on this experience! Come hungry, you will get fed well. The first stop on our tuk-tuk tour was the Klong San night market, where we sampled some delicious street food.The market is open daily from 7am to 11pm and abuts the Chao Phraya River, where you’ll find gorgeous city views. Now that I’m back home I can safely say it without jinxing myself–I ate all kinds of street food in Thailand and did not get sick once. I was particularly nervous about this but found that eating on the street was a cheap and exciting way to sample Asian cuisine. On our tour, we started with meatballs, from a reputable vendor that Expique uses all the time. They had a spicy and mild option. You can make anything in Thailand spicier by adding Thai peppers known as bird’s eye chilis. The green ones are spicier than the red ones. Afterwards, we had grilled sweet banana on a stick, which was sweet and delicious. On the way out, our guide picked up a snack that was a welcome twist on an old classic–sponge cake to be dipped in a warm green sauce known as Pandan custard. Want to eat your way around the city? Check out this Bangkok food tour recommendation. 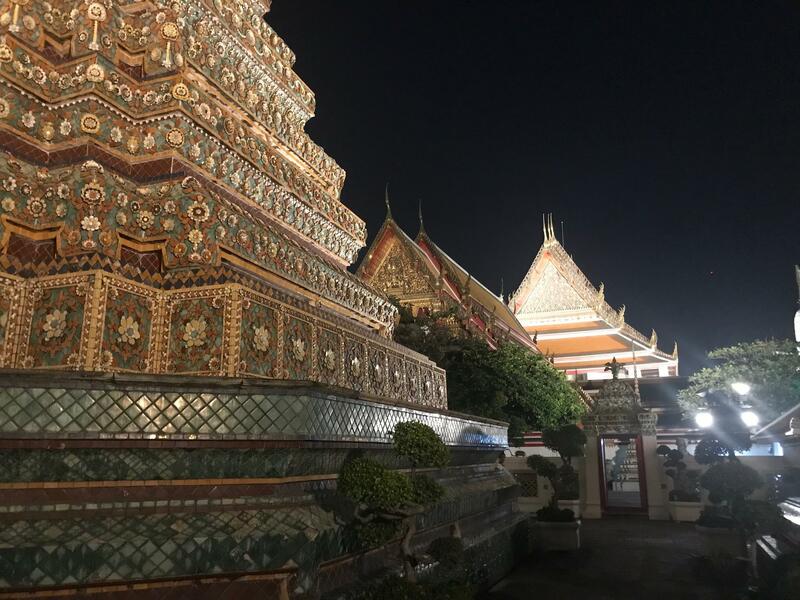 One of the best parts of our Bangkok Night Lights tour was exploring Bangkok’s landmarks at nights, in between markets and food stops. 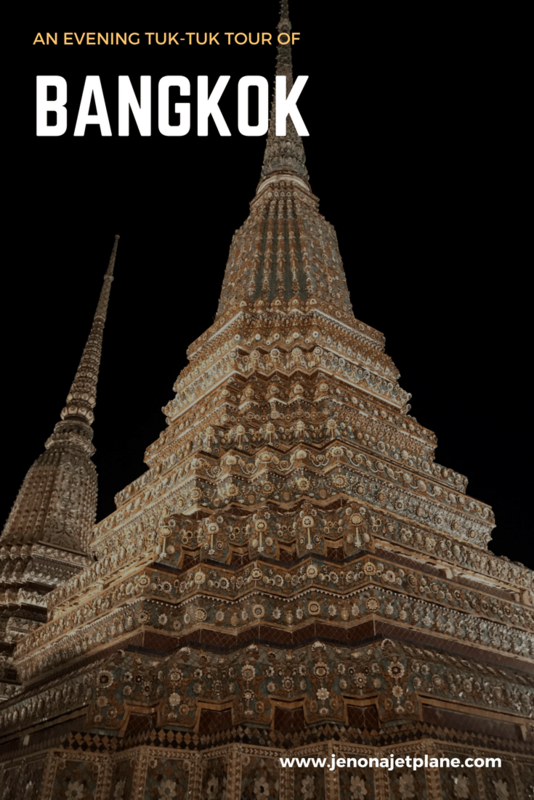 We went to the all-white Wat Prayoon, stopped by city hall and saw a giant swing, passed a golden castle, cruised by the Grand Palace and finished at Wat Pho, one of Bangkok’s most famous temples. While the temples are impressive during the day, they literally shine at night, and the illumination of the intricate artwork makes it seem that much more impressive against the night sky. The temples also showcased their solemnity at night. In contrast to visiting during the daytime, when it’s a swarm of crowds and photographs, going at night felt more sincere. Those wandering the paths felt obliged to whisper, and you could take in the atmosphere in near complete silence. 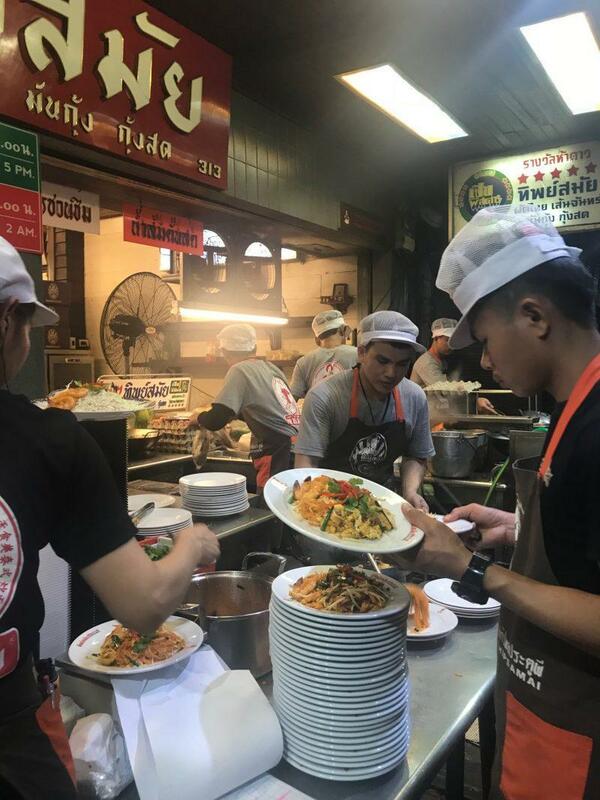 Once we finished admiring temples, we worked up an appetite so we went to find the best pad Thai in the city, a title that belongs to Pad Thai Thip Samai. This restaurant had a line not only out the door, but down the block. They sell one thing and one thing only–Pad Thai. With a limited cash menu and a staff cranking out Pad Thai left and right, you’d think this would be a quick stop, but the same people we passed on the way in were still waiting on the way out. If anything, bypassing the line at Thip Samai alone is a reason in and of itself to take this tour! There is no shortage of delicious food in Thailand, so much so that Thai people deem Pad Thai more popular amongst tourists than locals. I myself haven’t had much exposure to the dish, only having eaten it a handful of times. I ordered the prawn (shrimp) version and finished it in its entirety. It was incredible. To top it off, we were served fresh tangerine juice with pulp which you could tell had been squeezed immediately prior to serving. It was a meal I won’t soon forget. Quick note that right next to Thip Samui is Raan Jay Fai, one of the few Michelin star awarded street food vendors in the world. The chef and owner Supinya Junsuta, a woman in her 70’s, sells crab omelettes for 1,000 Baht a piece. 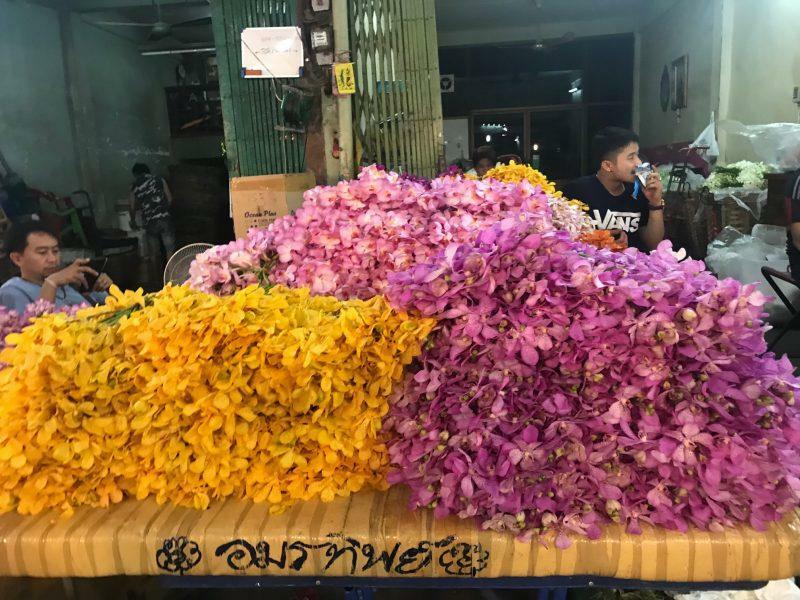 The final stop on your tuk-tuk tour is Bangkok’s Yodpiman Flower Market, open 24/7, 365 days a year. Holidays are actually the busiest time at the market since locals flock to get offerings and wreaths to take to the temples. The vendors collectively process more than 10,000 flowers a day. Jasmine and rose scents float through the air as employees make wreaths or trim newly arrived buds. This is the perfect place to visit at night, as the market hits its stride come 2am. We ended the evening with mango stick rice and a quick flower folding lesson. We were each given a lotus flower and instructed on how to fold and craft the petals, gently tucking them in one behind another. It is here, on the second floor pavilion overlooking the market, that Expique has their offices and holds their cooking classes. It was a fitting way to end the evening, and we were able to keep the lotus flower as a souvenir. 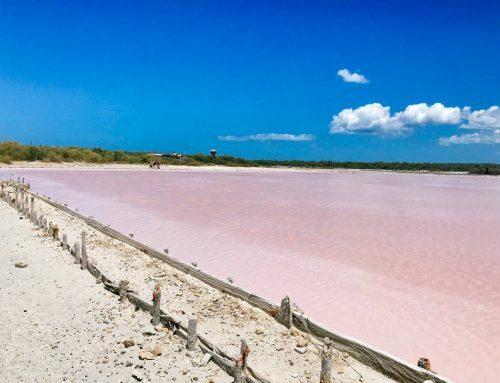 While this is a tuk-tuk tour and you will be chauffeured around in between destinations, it’s still advisable to wear comfortable walking shoes. Also, let your guide know of any food allergies ahead of time so they can accommodate your preferences throughout the evening. 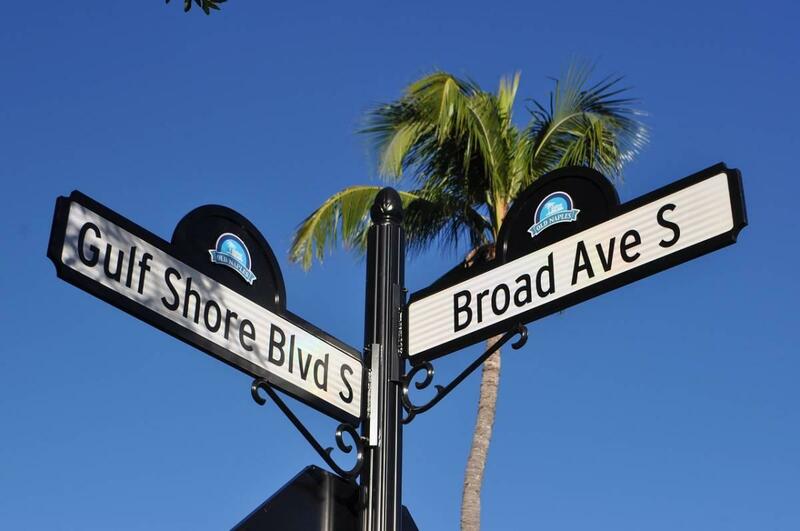 You’ll have a little bit of time to shop but not much, so make note of any places you want to return to. Make sure you’re appropriately dressed to visit temples, meaning your shoulders and thighs should be covered. Finally, like always, don’t forget to tip your guide and tuk-tuk driver if you enjoyed the experience. Note: I was hosted at this experience in exchange for my honest review. All opinions are my own. Wow! This definitely seems like the way to see Bangkok! I like the views of the temples at night and would definitely appreciate a little cooler weather and ONE tuk-tuk driver. The food market looks good, too. This is definitely how I’ll choose to see Bangkok if I ever make it there! Beautiful photographs of the temples, Jen! The color and complex design really stand out against the night sky — and for me, what you said about how quiet and serene they are at night versus in the day with the crowds — this would be my preferred way to see them. The Pad Thai sounds wonderful! What a great tour! I love the sound of this tour! It’s such a unique mix of experiences. Love any tour that introduces me to delicious local food, and seeing the temples illuminated at night sounds amazing. Also the flower market looks like a beautiful finish! I’d been to Bangkok so many times but have never done a tuk tuk tour before! Looks like I gotta try this the next time. Love the amazing sights and delicious food that they had showed you. Love this tour. At night, you don’t have the heat or crowds to disrupt your enjoyment of the city. We did a similar tour (even ate at Thip Samai), but we did it on bicycle from a boutique bike themed hotel. Anyway you can get out and explore the city by night is absolutely worth it. What a fun way to see Bangkok at night! 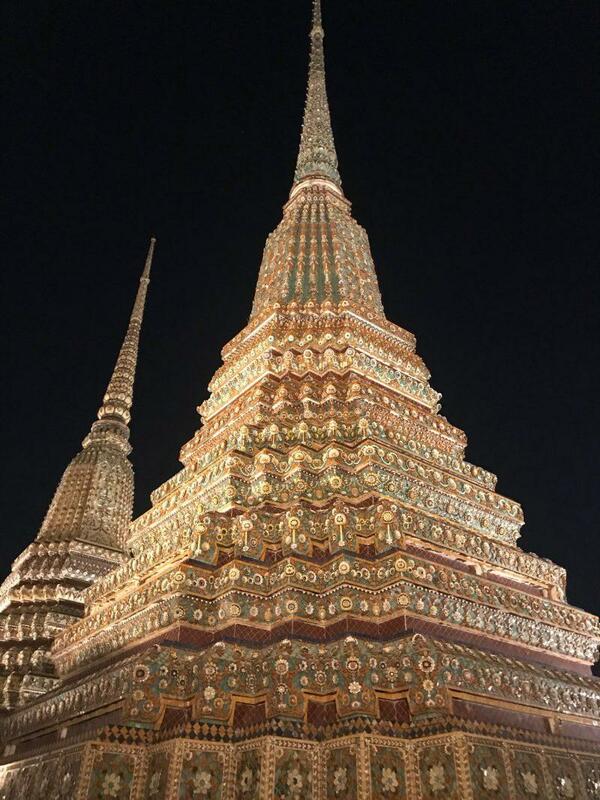 The Wat Pho temple is gorgeous with the lights on. We missed this last time and will need to go back to see it ourselves! I loved riding the tuk-tuks when I was in Thailand! This night tour looks great as well! I miss Bangkok so much and can’t wait to return. I was so nervous about them at first, and by the end I was a tuk-tuk pro! Me too, a few days is not enough! Tuk Tuk’s seem to be a must do thing in Bangkok. I have experienced a ride once, and I found it a little scary to say the least. This was just a random Tuk Tuk picked up off the side of a street. I do think this would have been a better way to go, at least this way you can expect that the drivers will have been vetted by the tour company and therefore a safer for tourists to use. Plus the added benefit of seeing the city at night, which is completely different to the daytime.